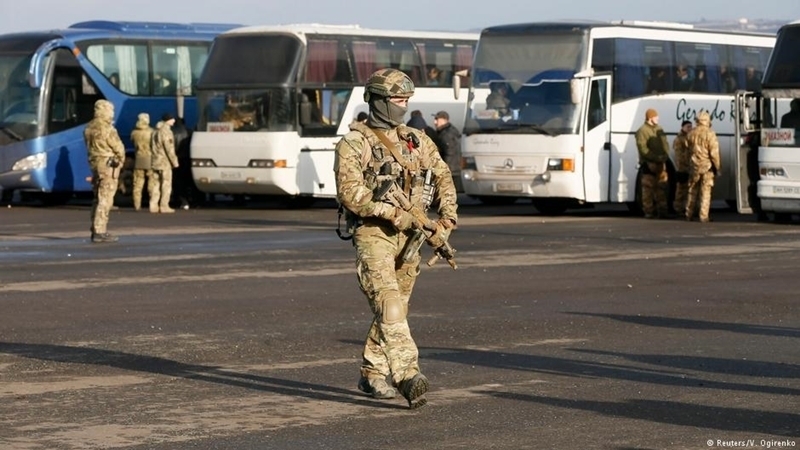 Ukrainian political prisoners are expected to be exchanged for Russian military and saboteurs seized on the territory of Ukraine, Iryna Lutsenko, the representative of the President in the Verkhovna Rada, stated speaking at the “Boryspil” airport, where planes with liberated hostages arrived. “The President plans to carry out serious work on the returning of our people who were convicted in Russia. This why we have preserved the Russian prisoners as an additional card, as a serious argument to exchange Russian citizens for our citizens who stay in Russia. This strategy is being developed, and it will be seriously implemented,” Lutsenko emphasized. As we known, December 27, the exchange of detained persons took place between the Ukrainian party and the ORDLO fighters. The Ukrainian party received 73 hostages who were in captivity in the occupied part of Donbas, and in turn handed over 233 people. No Russian citizens were among them, whose exchange was discussed earlier. It is now anticipated that more than 15 citizens of Russia who are staying in prisons of Ukraine will be used to release Roman Sushchenko, Oleh Sentsov, Oleksandr Kolchenko, Stanislav Klykh, Mykola Karpyuk and many other Ukrainians imprisoned in Russia. Reportedly, Vasyl Hrytsak, the Head of the Security Service of Ukraine informed that 103 people are still being held hostage in ORDLO. Following the return of 73 hostages from ORDLO, President Petro Poroshenko promised that the Ukrainian party would work with even greater zeal to release those compatriots who continue to be held against their will.